The Soviet theoretical physicist Lev Davidovich Landau developed a mathematical theory that explained the properties of superfluidity and superconductivity of helium at temperatures close to absolute zero. Lev Landau, called "Dau" by his students and close associates, was born on Jan. 22, 1908, in Baku, the capital of Azerbaidzhan, to parents of middle-class Jewish background. At 14 he entered the University of Baku; then, in 1924, he transferred to Leningrad State University. In 1927 he graduated with a doctorate from the faculty of physics. Between 1927 and 1929 he continued his postgraduate studies at the Physicotechnical Institute of Leningrad. In 1929 Landau left the Soviet Union to study for a year and a half at the Institute for Theoretical Physics in Copenhagen as well as at scientific centers in Germany, Switzerland, Great Britain, and the Netherlands. During his stay at the institute in Copenhagen, he became closely associated with the Danish physicist Niels Bohr. Bohr invited Landau in 1933 and 1934 to attend several conferences on theoretical physics. When abroad, Landau published at the age of 22 his classic theory on the diamagnetism of electrons in a metal (Landau's diamagnetism). Soon after returning to Leningrad, in 1932 Landau received an assignment to head the theoretical section of the Ukrainian Physicotechnical Institute; he also joined the faculties of the Kharkov Institute of Machine Construction and the University of Kharkov. In Kharkov the Landau school of theoretical physics had its beginning. Between 1938 and 1960 Landau, together with his student and collaborator E. M. Lifshits, wrote a series of volumes under the heading of Course of Theoretical Physics, covering mechanics, classical field theory, quantum mechanics, relativistic quantum theory, statistical physics, fluid mechanics, theory of elasticity, electrodynamics of continuous media, and physical kinetics. Some of the sections are actually based on original research performed by the authors. There are few works on contemporary physics that match the Course of Theoretical Physics in terms of clarity of exposition and scope of treatment; it is therefore not surprising that in April 1962 this veritable encyclopedia received the Lenin Prize. In 1937 Landau arrived at the Institute of Physical Problems of the Soviet Academy of Sciences to head its theoretical section. He concentrated on certain paradoxical results obtained from experiments with helium near absolute zero. Helium II is virtually frictionless in its motion; yet when it is placed between two rotating disks, a force, indicating the presence of viscosity, can be measured. In another experiment a flask containing liquid helium was immersed in a bath of liquid helium and then heated; liquid helium was observed to flow out of the flask, but the flask remained full. To explain this paradoxical behavior of liquid helium, Landau regarded helium II as a "quantum liquid" whose properties could not be treated within the framework of classical mechanics. He presumed that helium II possessed two simultaneous forms of motion: normal, which is viscous and transports heat, and superfluid, possessing neither viscosity nor thermal conductivity. The paradox associated with the non-emptying flask was resolved by Landau's theory, which predicted a superfluid countercurrent whose behavior conforms to the hydrodynamic laws governing ideal and nonviscous fluids with irrotational flow. Landau's theory also predicted that two velocities of sound waves occur if sound is transmitted through helium II. The first sound wave oscillates in helium II as does an ordinary sound wave in an ordinary fluid. But the second sound wave is unique to superfluids. Landau called this wave a "zero" sound wave. For his work in low-temperature physics Landau received the Stalin Prize in 1941, the Fritz London Award in 1960, and the Nobel Prize in 1962. Landau was appointed a full professor of physics at Moscow State University in 1943. In 1946 he was elected to full membership of the Soviet Academy of Sciences, won the Stalin Prize for his thermodynamic theory of phase transitions in solid bodies and of symmetry properties, and published a classic paper on the vibrations of the electronic plasma. Landau's work on the oscillations in plasma is recognized as a pioneering study on the road to harnessing thermonuclear power. It is believed that in the postwar period he made significant contributions to the development of Soviet atomic capability and the success of Soviet rocketry. In his lifetime Landau published over 120 works covering the areas of hydrodynamics, aerodynamics, thermodynamics, astrophysics, quantum field theory, solid-state matter, cryogenics, nuclear physics, and cosmic rays. He received international acclaim for his achievements in theoretical physics. He was elected to membership in the English and the French Physical Society, the Dutch and the Danish Royal Academy of Sciences, the National Academy of Sciences of the United States, the American Academy of Arts and Sciences, the New York Academy of Sciences, and the London Royal Society. In addition to the previously mentioned prizes, Landau received in 1960 the Max Planck Medal from West Germany. Those who worked closely with Landau appreciated his enthusiasm for science, devotion to creativity in physics, and dedication to high scientific principles. Some have characterized Landau as a "salon" Communist who accepted the ideals of communism, but there is no evidence indicating that he ever joined the Communist party. Landau revealed in Komsomolskaia pravda, dated July 8, 1964, to a stunned Soviet readership that he too had been caught up in the Stalinist mass purges and that he had been arrested in 1938 as a German spy—despite his Jewish background. After a year's detention Landau had emerged, emaciated and sickly, his black hair turned gray. Ironically, in subsequent years Soviet newspapers portrayed him as an "enthusiastic public-spirited citizen" whose scientific services were highly appreciated by the Soviet government. If there was any crime that Landau was guilty of, it was nonconformism. He appeared at state functions in a checkered sport shirt and at the Moscow Art Theater in sandals. He did not hesitate to lend support to modernistic trends in Soviet art. And he encouraged Soviet scientists to engage in discussions of the philosophical problems of science, thus preventing narrow party ideologues from dominating the scientific field. On Jan. 7, 1962, Landau was seriously injured in an automobile accident. The process of recovery was slow. On Dec. 10, 1962, he was well enough to receive the Nobel Prize from the Swedish ambassador to Moscow. He died on April 1, 1968. With his passing, the Soviet Union lost its most outstanding theoretical physicist. 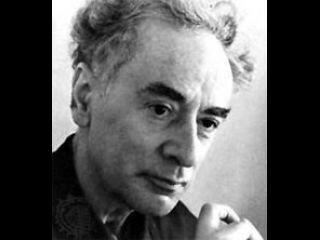 View the full website biography of Lev Landau.